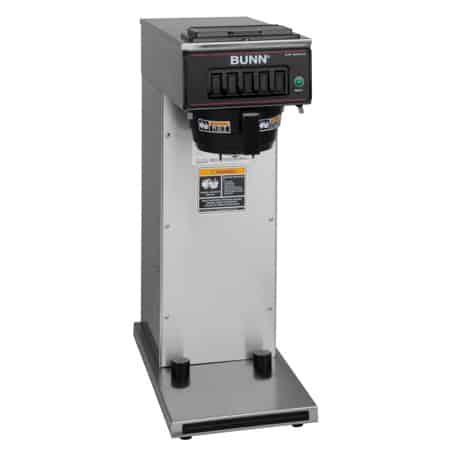 The Bunn Thermal Carafe – Economy is Bunn’s value-priced commercial-grade thermal carafe. 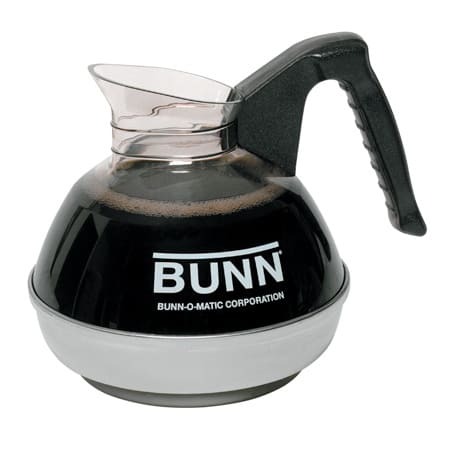 It holds 12 cups, which equals 64 ounces and is made to work with Bunn Commercial Thermal Carafe Brewers. 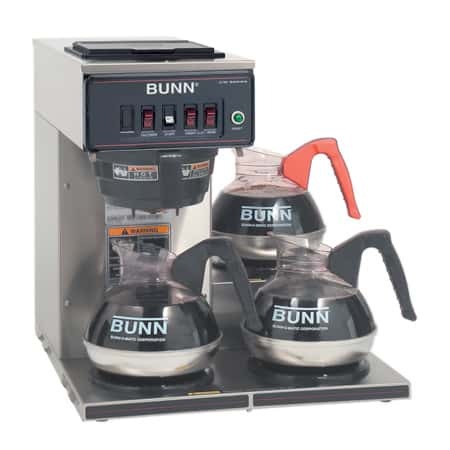 The BUNN Thermal Carafe – Economy model may be value-priced, but that doesn’t mean it’s not made with quality parts. 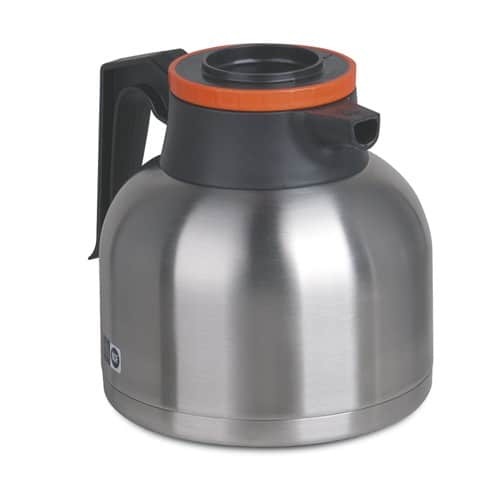 Both the inside and outside are made from durable stainless steel, and the carafe is vacuum insulated to keep coffee hot for long periods of time. The brew-through makes coffee brewing easy. 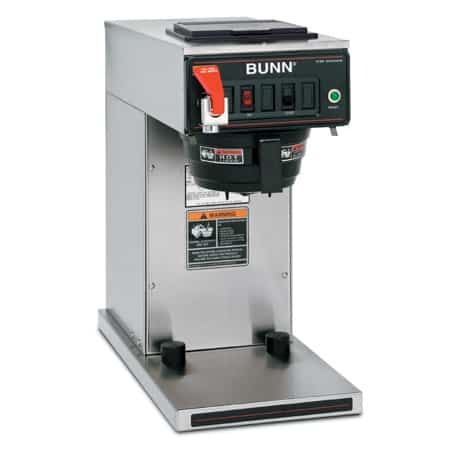 The only real difference between the regular Bunn thermal carafe and this model is heat retention. The regular model will lose 5 degrees of temperature in 1.5 hours. The economy model will lose about 9 degrees. If your location has coffee drinkers who don’t let a pot of coffee sit around for too long, the economy model will work fine. 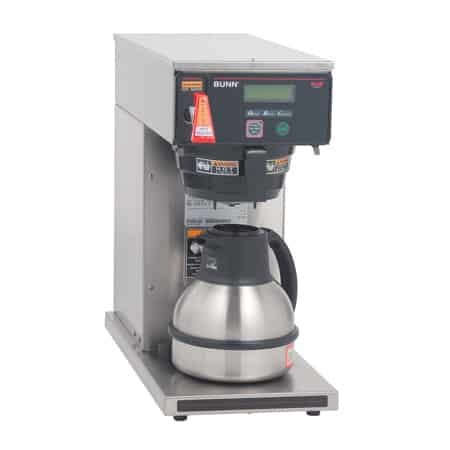 The thermal carafe can be used with any commercial Bunn thermal carafe brewer, including, Axiom, CW-series, and VPR models. (1) coffee that does not sit on a heat source stays fresher longer. (3) the carafe can be taken to where it is needed and can sit on a table without harming the table. Comes with either a black lid (40163.0000) for regular coffee or an orange lid (40163.0001) for decaf. The carafes can also be ordered in cases of 12.